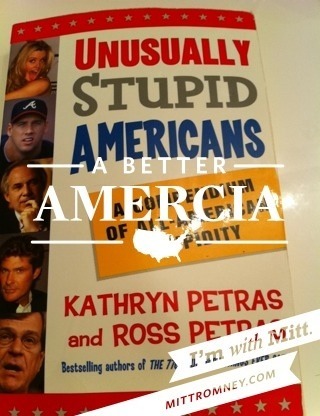 Con servatism will make you stupid! 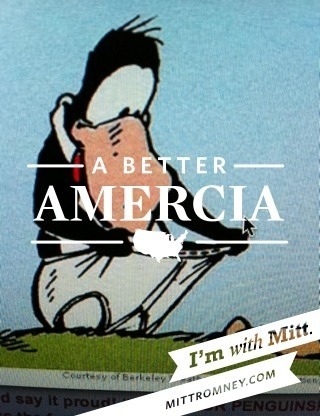 Willard’s attempt at a viral WEB campaign. Yeah, there was no chance this wouldn’t instantly become a meme. 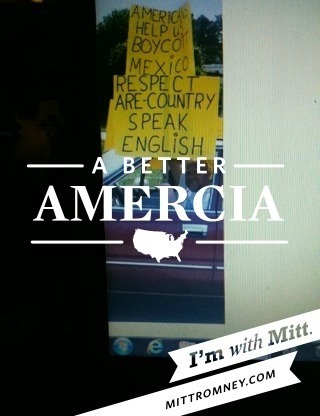 People who we suspect are not Romney supporters have been feverishly snapping shots of dictionaries, spelling bee participants, toilets, and more, with the “AMERCIA” banner over them, and a Tumblr has cropped up to show off the best of them. 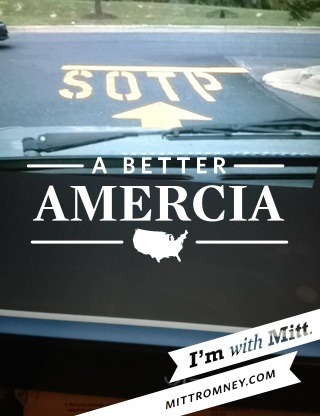 Twitter is abuzz with mockery like, “Will Mitt Romney apologize for Amercia?” and “AMERCIA TEH BUETIFLU.” The campaign tells the Washington Post that it’s submitted a fix for the app to Apple. 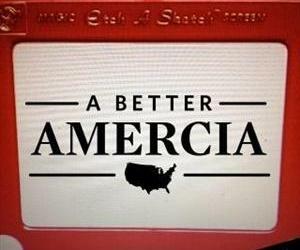 There is even a Tubmlr that has been started on the gaffe.